This review is difficult for me to write because this product had such a dramatic and positive effect for one of our children. It has been an answer to prayer, a break-through for our child who has struggled with auditory comprehension for years. I am grateful for the opportunity to use this product that we would not have otherwise had access to, thankful for God’s sovereignty that our family was chosen for this review and that the vendor determined to send us this particular product (as part of the TOS Bloggers Program). So as you read this review realize that I’m not unbiased, know that I’m indebted to this product for helping my child in a way that I had failed to help him on my own and take from it what you will. Bonnie Terry Learning focuses on products for the struggling learner. 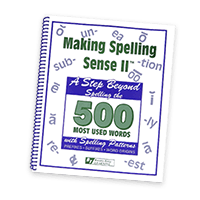 The goal is to enable you to be better equipped to develop strong reading, writing and math skills in your child with dyslexia, ADD, Autism or other general learning difficulties. Even gifted children can struggle in some of these areas and Bonnie Terry aims at smoothing out those bumps in the road of education. They try to help you “think outside the box” to address your child’s difficulties from an angle, direction or perspective that you may not have considered, a direction that may be the difference between success or struggle for your child. 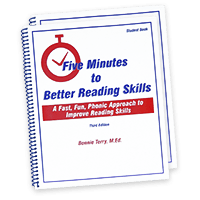 Bonnie Terry offers a variety of games and products to improve reading, writing, math and study skills for children 7 years and older. 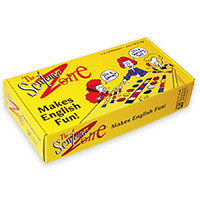 Bonnie Terry Learning sent our family The Comprehension Zone: Rocket Rap ($67). 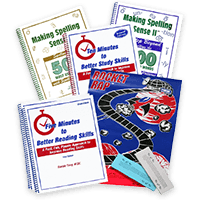 Rocket Rap is geared for 1st grade through adult to help develop and strengthen reading or listening comprehension. 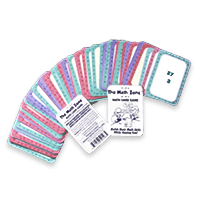 The game comes with 3 sets of cards written at different reading/listening levels (2nd-3rd grade, 4th-6th grade and 7th-12th grade). Each set of cards can be used in several different ways. Children can find the factual information, the main point or work on sequencing. Children are able to read the cards themselves or may listen as you read to them in order to work on either reading or listening comprehension. This versatility makes it easy to play the game with children at multiple reading/listening levels at the same time. 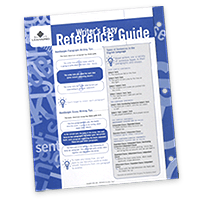 The cards are self-correcting and include hints to help your child succeed and even allow for using a helper in the scoring. 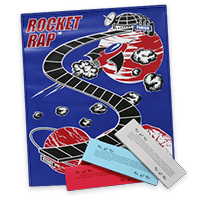 The Rocket Rap game consists of a high-quality, over-sized vinyl game mat, 3 sets of cards, four playing pieces and a die. Play progresses by the child reading or listening to the paragraph on the card. Then they complete their task depending on their level. 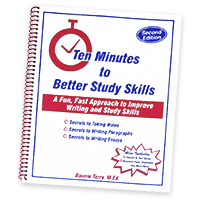 Beginners name two facts from the card, intermediates relay the main point of the paragraph AND two facts and advanced students use several cards at a time and put them in the proper chronological order. Each time the child completes their task they get to roll the die and move. If they need to use one of the helpers you take one point off of their roll. All of our children from 1st grade up were able to play together, which as you know is an important feature for our family. Our older children (10, 11 and 13) were able to easily complete the comprehension activities on all levels of cards, but enjoyed working on the sequencing. Our 9 year old was happy to play with the 7th-12th grade cards. The game was interesting enough to the kids that they wanted to play multiple times, even when some of the novelty had worn off. * not a fast-paced, edge of your seat type of game, but our children all enjoyed playing it, so what can I say? The Comprehension Zone: Rocket Rap had amazing results for one of our children. We have been working with him on comprehension for years. I often have him draw pictures of what I’m reading, we act things out and we read just a few phrases at a time and ask him questions whenever we are dealing with auditory learning. He simply struggles in this area. I was interested to see how he would do with Rocket Rap. I began with the easiest level. I read the card to him and he was to tell me 2 facts from the card. When it was time for him to answer all I got was a blank stare. When prompted with the helpers, he was still unable to answer. I was honestly shocked that he could not do this. The cards we were using only have 3-5 sentences, are chock full of facts and he couldn’t pick out one. I ended up modifying the game for him, rather than have him tell me two facts per card to earn one roll of the die, I gave him one roll of the die for each fact he could pick out and we used lots of helpers. He was still unable to finish the game. We began playing Rocket Rap more often. The improvement was rapid and dramatic! By the end of the next game he was able to play without my previous modifications and currently it is easy enough for him to pick out facts while listening that he likes to try reading the card himself. For the first time in his life our child will raise his hand when Mark asks questions during family worship and he will know the answer. He will come up to us after church and spontaneously tell us something that he learned from the sermon. He is so amazingly proud of himself and I’m amazingly thankful. As I mentioned this is a tough review. For 8 of our children this game would be a fun, helpful activity that is not worth $67, but for one child, for these results, I would happily pay double. We’ve tried things similar to this in the past, we’ve been focused on this problem for years, but Rocket Rap has been the first activity that has been successful. If you have a child who struggles with reading or listening comprehension, I certainly think that Bonnie Terry’s The Comprehension Zone: Rocket Rap is worth a look. If any of you decide to go this route, I’d love to hear what you think. Have our results been typical? 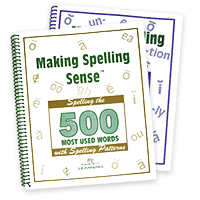 You may read more reviews of Rocket Rap and other Bonnie Terry Learning products at The Old Schoolhouse Homeschool Crew blog. 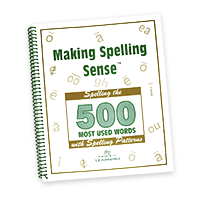 You may read more of my homeschool curriculum reviews on my review page. Bonnie Terry Learning sent The Comprehension Zone: Rocket Rap to our family free of charge (part of the TOS Bloggers Program) to enable me to write this review. All opinions expressed are my own and I am not otherwise reimbursed for any reviews here on Raising Olives.